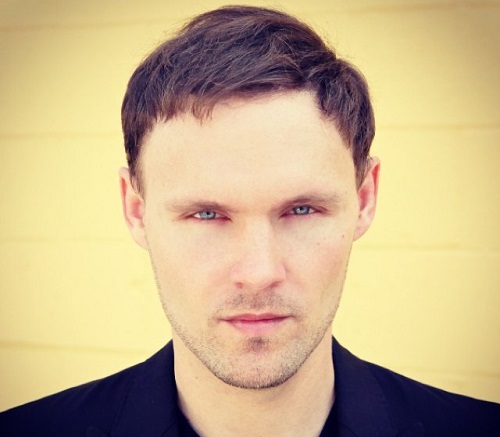 Child Of God star Scott Haze has signed with International Creative Management (ICM Partners). This news comes shortly after we learnt that James Franco’s new film, As I Lay Dying, which Haze also has a role in, will be headed to the the 66th Cannes Film Festival this May. Haze, who is also repped by Josh Kesselman at Thruline Entertainment, will release his first feature length directorial documentary titled Ghost & Goblins later this year, and will also be seen in the aforementioned Child Of God (also directed by Franco), which is an adaptation of Cormac McCarthy’s 1973 novel. McCarthy is also the writer behind All The Pretty Horses, the Pulitzer winning book The Road, and the screenplay for Ridley Scott’s upcoming film, The Counselor. The highly anticipated Child Of God sees Haze play the film’s ostracized protagonist, Lester Ballard. We can also confirm Haze will also take on a cameo in Franco’s upcoming directorial project Bukowski, which is currently in production and stars Teo Halm, Josh Peck and Keegan Allen. As I Lay Dying, which will feature in the Un Certain Regard section of the Cannes Film Festival, is an adaptation of William Faulkner’s novel of the same name which follows “the story of the death of Addie Bundren and her family’s quest and motivations—noble or selfish—to honor her wish to be buried in the town of Jefferson.” The film, which was a shock entry to the festival, stars Franco in the lead role of Darl, while Jim Parrack and Prometheus‘ Logan Marshall Green play his brother’s Cash and Jewel, respectively. The film is an adaptation of one of America’s most beloved novels and with that comes somewhat uneasy territory. The novel, which follows each chapter from a different character’s perspective, has never been adapted for screen, so there is a lot of speculation around the film and if it will work out. That being said, the fact that it got into Cannes suggests that it may in fact live up to the hype. No word yet on a U.S. release date but hopefully it will be picked up for distribution at Cannes. We’ll let you know when we hear more.